Gary Sigler was born in Bloomington, Illinois, in 1942. 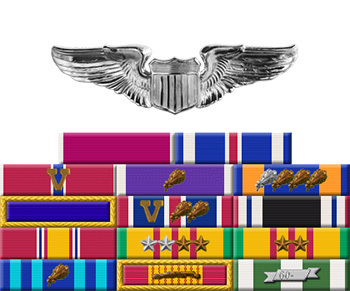 He was commissioned a 2d Lt in the U.S. Air Force through the Air Force ROTC program at Colorado State University on December 15, 1964, and went on active duty beginning January 15, 1965. Lt Sigler next completed Undergraduate Pilot Training and was awarded his pilot wings at Reese AFB, Texas, in February 1966, followed by Pilot Systems Operator training and RF-4C Phantom II Combat Crew Training at Shaw AFB, South Carolina, from February to June 1966. His first assignment was as an RF-4C pilot systems operator with the 10th Tactical Reconnaissance Squadron at Mountain Home AFB, Idaho, from July to November 1966, and then with the 11th Tactical Reconnaissance Squadron at Udorn Royal Thai AFB, Thailand, from December 1966 until he was forced to eject over North Vietnam and was taken as a Prisoner of War on April 29, 1967. After spending 2,137 days in captivity, Capt Sigler was released during Operation Homecoming on March 4, 1973. 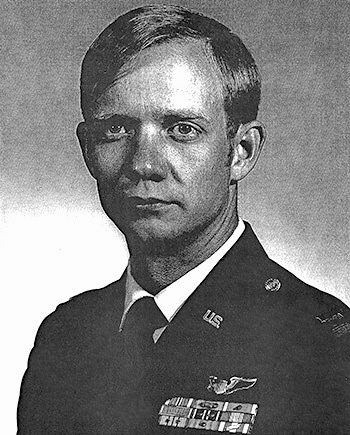 He was briefly hospitalized to recover from his injuries at Scott AFB, Illinois, and then served as a T-39 Sabreliner pilot with the 4600th Operations Squadron at Peterson Field, Colorado, from August 1973 until he left the Air Force on August 1, 1974.